My Grandfather (GrandPND) was a bit of an entrepreneur and owned a number of businesses over his life. 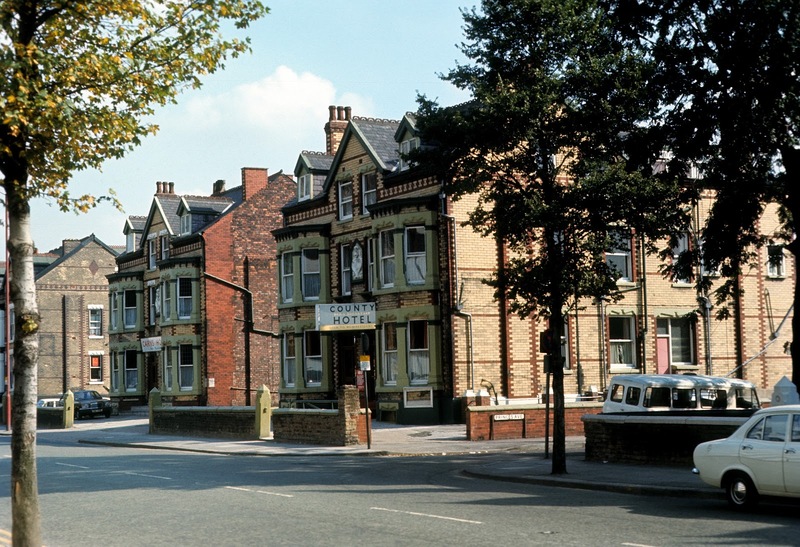 In the early 1970s he had turned to operating bed and breakfast hotels around Manchester and at one time owned four in converted multi-family buildings like the two above. The hotels were located on Talbot Road about a quarter mile from Lancashire County Cricket Club (where PND Senior is Chairman) and about a mile from Manchester United FC (Champions!). None of these buildings exist now and were knocked over under an urban renewal project in the 1980s that ultimately resulted in an uninspiring office building. I drove down this road last weekend with the PND family and if I were to retake this photo now it would be completely unrecognizable.